Across most of the world including Europe and Australia, the preference is for the use of textured implants in 90% patients, with only 10% smooth being used. The current breakdown of implant usage in the USA is 87% smooth and 13% textured. This discrepancy is due to the moratorium imposed by the FDA in USA in 1992, which led to US surgeons almost exclusively using smooth saline and of late, silicone smooth implants; whereas the rest of the world progressively continued to use textured implants. Capsular contracture continues to be the leading cause of breast implant re-operations. The key benefit of using textured implants is reduced capsular contracture. As textured implants provide frictional resistance to movement, they also help to stabilise the implant pocket and reduce skin stretch and ‘bottoming out’ in the lower part of the breast over time. Smooth implants, on the other hand, can feel softer, are more easily placed with smaller incisions, however, will have greater movement with some drift to the sides of the breast (lateral slip). They tend to settle in the lower part of the breast, stretching the lower breast skin envelope. Though textured implants have been pre-dominantly been used in the UK and Europe, the concern for the rare occurrence of BIA-ALCL (Breast Implant Associated ALCL) has started to influence the discussion regarding the use of textured vs smooth implants. You should discuss with your surgeon what is best for your body shape, chest wall shape and breast skin envelope. Calobrace et al. Aesthetic Surgery Journal 2018, Vol 38(1) 38-48. A rare type of immune system cell cancer called Anaplastic Large Cell Lymphoma (ALCL) occurs in association with breast implants. ALCL is a lymphoma and not cancer of the breast tissue. In women with breast implants, ALCL has been found adjacent to the implant itself and contained within the fibrous capsule. The condition usually presents at an average of 7-8 years following breast implant surgery with a late onset seroma (fluid collection around the implant), and is treated with capsulectomy alone, though some cases require chemotherapy. The first case was reported in 1997, yet it is important to note that breast implants have been used since 1962, with current numbers showing there are over 10 million women in the world with breast implants. As of February 1, 2017, the FDA in USA received a total of 359 medical device reports (MDRs) of BIA-ALCL, including nine deaths. Out of 231 reports that included information on the implant surface, 203 were reported to be textured implants and 28 reported to be smooth implants. 312 of the 359 reports included information on implant fill types. Of these, 186 reported implants were filled with silicone gel and 126 reported implants filled with saline. In the UK, at least 23 cases have been identified . Though we do not know what causes BIA-ALCL, there is increasing evidence to support an infective trigger. The time frame for its development fits with a chronic bio-film infection. In addition to the implant surface acting as a passive conduit for bacteria, it is believed that patients with genetic susceptibility and with an abnormal immune response, over time may contribute to the eventual development of BIA-ALCL. The 14 point plan (www.saferbreastimplants.org/about/the-14-point-plan/) has strategies that can be incorporated into surgical practice to prevent implant contamination and may be a useful tool in reducing the risk of BIA-ALCL. To summarise, Breast Implant-Associated Anaplastic Large Cell Lymphoma (BIA-ALCL) remains a rare condition that has been identified in 360 patients worldwide. All of the information to date suggests that women with breast implants have a very low but increased risk of developing ALCL compared to women who do not have breast implants. Most cases of breast implant-associated ALCL are treated by removal of the implant and the capsule surrounding the implant, however, some cases may require chemotherapy. ​Evening primrose oil (EPO) is taken by many women for breast pain. Though it may help with premenstrual breast discomfort, it is one of a long list of natural supplements that must be stopped atleast 2 - 4 weeks prior to surgery. EPO increases the risk of bleeding during and after your surgery. The gamma-linolenic acid in evening primrose oil can slow blood clotting, so it should not be taken along with medications intended for the same purpose, as this can cause a bleeding and bruising risk. Often after surgery, you will be given an injection to prevent Deep Vein Thrombosis and Pulmonary Embolism (clots in legs and lungs), along with other measures such as TED stockings and Flotron boots. EPO can interact with blood thinning medication. EPO has also been known to cause seizures under general anaesthetic, even though you may not normally have fits. Other natural supplements that have been implicated in an increased risk of bleeding during surgery are garlic, ginger, ginkgo, ginseng, danshen, omega-3 fatty acids, St John wort…… Always tell your doctor about supplements you are taking if you are considering surgery. 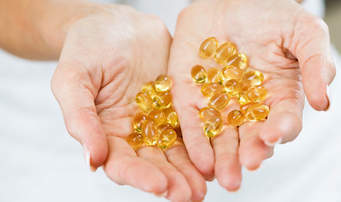 ​Just because supplements may be natural, it does not mean that they are safe for surgery. Abdominoplasty or tummy-tuck is one of the most frequently performed cosmetic operations. And seroma or fluid collection, when you return to the clinic with a feeling of 'water-bed' under the skin layer, is one of its commonest complications. In my blog in 2013, I wrote about quilting the tummy skin down onto the rectus sheath to obliterate the space with a Quill / Stratafix knotless barbed dissolving suture in my DIEP breast reconstruction patients, wherein tummy tissue is used to reconstruct a breast. The closure of the tummy is very similar to that of a cosmetic tummy tuck. I am about to publish in a plastic surgery journal the results of quilting in 76 patients compared to 26 who did not have quilting. The seroma in tummies with quilting was 2.2% whereas those without quilting was 7.4%. The contour is much more pleasing, as the tension across the tummy skin is more evenly distributed. The only downside is that in some slimmer patients, the quilting can show up as puckering or dimples in the skin; however, these disappear by 10 weeks when the suture is absorbed by the body. Needless to say, I have also been using quilting in my cosmetic tummy-tuck patients too.